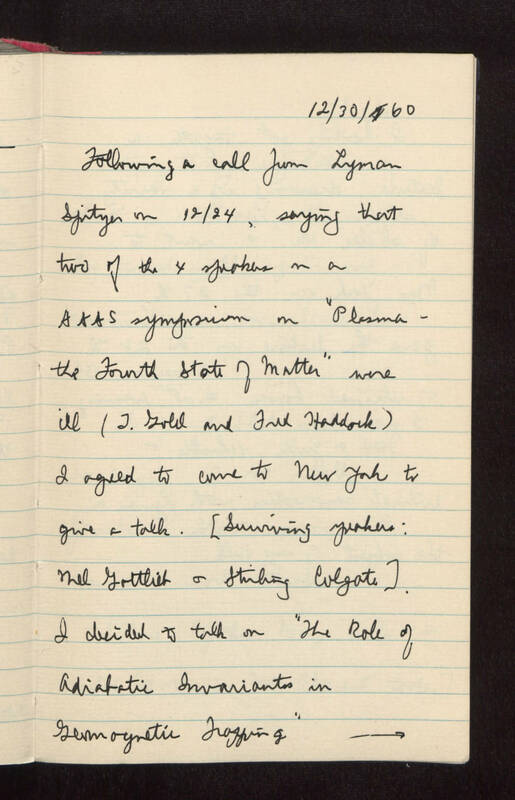 12/30/60 Following a call from Lyman Spitzer on 12/24, saying that two of the 4 speakers in a AAAS symposium on "Plasma -- the Fourth State of Matter" were ill (T. Gold and Fred Haddock). I agreed to come to New York to give a talk. [Surviving speakers: Mel Gottlieb and Sterling Colgate]. I decided to talk on "The Role of Adiabatic Invariants in Geomagnetic Trapping"